Inspired by Initiatives of Change international program of Creators of Peace Circles, the Multicultural Women’s Circle is specifically adapted to Canadian needs. 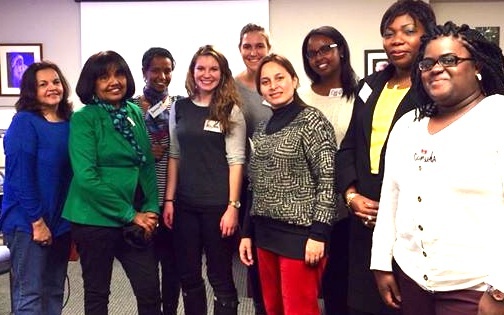 Format: a group of 12 women volunteers - eight immigrants and four Canadians - meet over a period of eight weeks to have a cultural exchange, and learn from each other. to create deeper understanding and friendships between new immigrant and established Canadian Women. to practice English conversation in a friendly informal setting. to learn about opportunities for community involvement and assist in the integration of newcomers. for settled Canadians to understand the challenges that come with being an immigrant and to figure out ways they can give support. to empower all the participants to be agents of change in their own communities. Each immigrant, who attends consistently, will receive a certificate of participation and a letter of reference from Initiatives of Change, to help them access other opportunities including employment. By the end of the program, these women would see themselves, not as victims of circumstances, but as active change makers.